Citric Hotel Soller v Mallorca, Španělsko: Zarezervujte nyní! 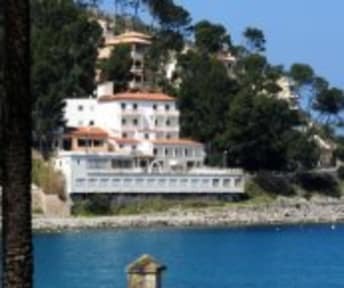 It has unbeatable views of the Sea and the Bay of Soller. From the hotel you can walk or bicycle to reach the fishing pier or take a pleasant walk by the sea. Easy access to the town of Soller tram can take the oldest of the island of Mallorca has been operating since October 4, 1913 or just 4 minutes drive from the hotel. You can also make excursions into the mountains of the Sierra de Tramuntana and would stop to enjoy the stunning sea views from the lighthouse. The Citric Hotel Soller, previously called Brisas Hostel, has been recently refubished but still keeping the autenticity of a Majorcan Property with better services and renovated hall , all rooms with bedlinen and towels most of them overlooking the mediterranean sea , small and friendly with mimimalistic style have a fantastic and functionality areas for your stay in Majorca. Soller and the surrounding Citrus Hotel Soller are Mallorca area with more diversity of existing activities and services where you can enjoy the sea and the mountain one step, then enjoy this amalgam of feelings and activities that will make you feel privileged : walk along the sandy beach, practicing Nordic walking, horseback riding, biking, walking trails Soller tram rides, boat rental, swimming in the sea, and visit the orchards full of citrus characteristic of the Valley Soller. 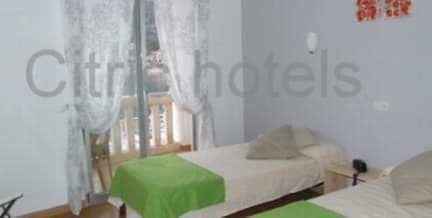 All rooms have bathroom with bath or shower, including prices, Sheets, Blankets, Cushions, Pillows, Towels decorative well as several extras for your comfort and enjoyment. The Citrus is the basis of this hotel and both the public areas and rooms are in this element a meeting point and a common theme, with furniture in keeping with the simplicity and natural beauty of Citrus.